We exist to rejoice and praise God by creating disciples of Jesus Christ in the surrounding areas and around the globe. We are a “come as you are” congregation of Jesus followers who love God and each other. Our goal is to make all those that enter Cross Lutheran feel as welcome as you would enter the home of your family or best friend. Cross Lutheran was the second church built in Roberts, sponsored by the American Lutheran Church, a predecessor body to the current Evangelical Lutheran Church in America. (ELCA). The first service led by mission developer Rev. Marvin Roloff was held on September 10, 1972, at the Roberts Park Building with 77 people in attendance. Sunday School began in September of 1972. 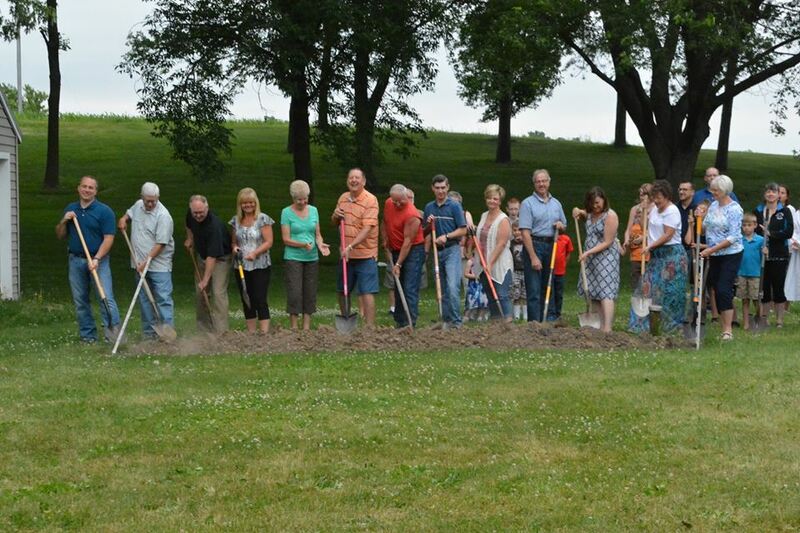 On May 6,1973, groundbreaking for the new church took place with the first service conducted in December of 1973. A new sanctuary was built in 1998 as the church continued to growth. The recent expansion for offices, classrooms, fellowship hall, and kitchen was dedicated in December of 2017. The Lord has blessed Cross Lutheran with strong lay leadership, a faithful pastor and its current membership of over 500 members. Roberts Cross Lutheran is an ADA Compliant facility.